The A&A Secondary Drive is unique in that it does NOT drive the accessories via the air conditioning belt like other systems. The A/C belt remains untouched. The accessory drive shaft pulley is driven by its own dedicated belt. 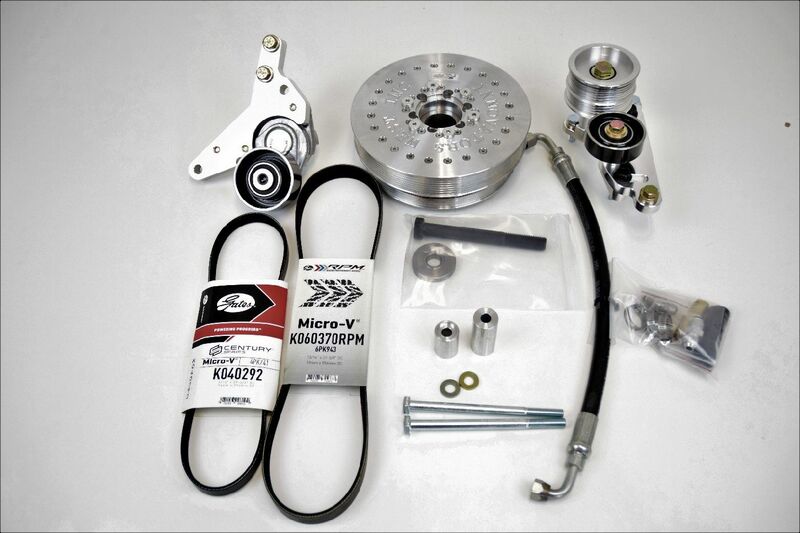 This allows full belt wrap around the crankshaft pulley as well as the accessory drive shaft pulley and the ability to tension this belt separately. This eliminates accessory belt slip that plagues other systems. Our system also utilizes a spring tensioner on the alternator/power steering belt which allows proper belt wrap and tension. 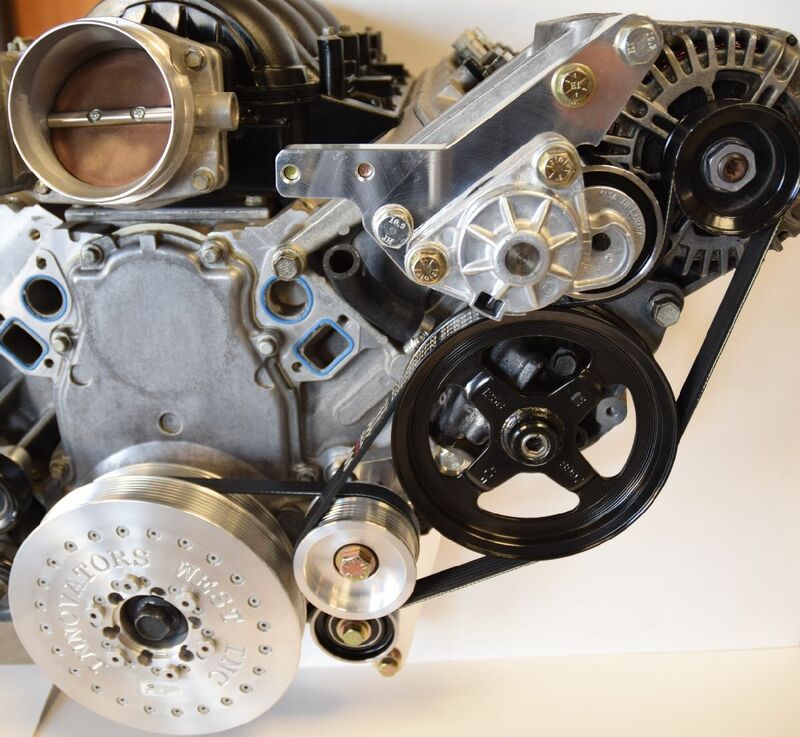 Design testing showed the torque needed to slip the accessory drive shaft belt was nearly TRIPLE that of designs that use the A/C belt to drive everything. This eliminates voltage loss at high RPM from slipping, as well as belt squeal in slow corners with the A/C on. We also addressed the bearing failure issues that plague other systems. Because two belts pull on the secondary shaft at nearly opposing angles, the bearing load is extremely high. Our design has allowed us to move the belts much closer together so the opposing forces are lessened tremendously. We’ve also fitted our pulley with TRIPLE high-speed bearings just to be sure. 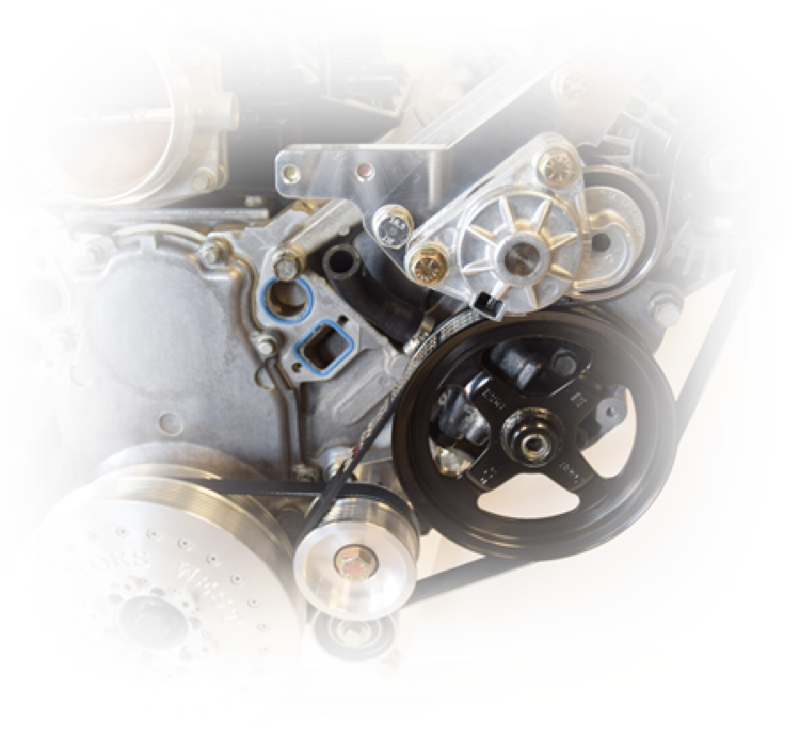 Using our Secondary Drive allows the use of a much shorter belt to drive the supercharger which eliminates stretch and belt whip. This is the ultimate belt drive system for street driven C5 and C6 Corvettes as well as dedicated race cars with or without A/C. Combined with our supercharger bracket and billet tensioner, you have the ultimate Corvette supercharger drive system. Requires modification of the stock alternator / power steering bracket or we can supply one that has been properly modified.